This is so called Marinated Raw Crab. 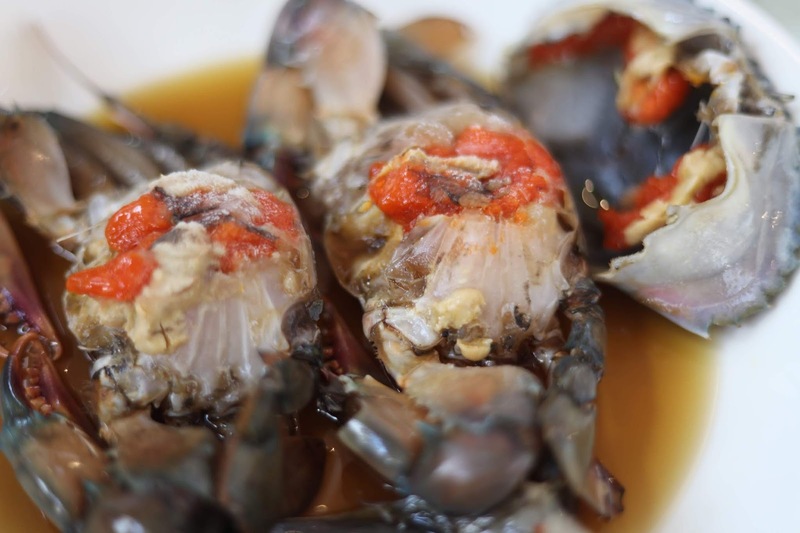 Surprisingly, this dish can be found in many countries in Asia, such as Korea (called Gejang - 게장), Singapore, Thailand (called Pu Dong - ปูดอง), Vietnam and so on. Most of time, Soy Sauce or Fish Sauce were used for Marination depends on availability of each country.